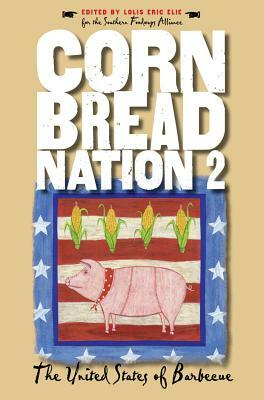 Southern barbecue and barbecue traditions are the primary focus of Cornbread Nation 2, our second collection of the best of Southern food writing. "Barbecue is the closest thing we have in the United States to Europe's wines or cheeses; drive a hundred miles and the barbecue changes," writes John Shelton Reed. Indeed, no other dish is served a dozen different ways just between Memphis and Birmingham. In tribute to what Vince Staten calls "the slowest of the slow foods," contributors discuss the politics, sociology, and virtual religion of barbecue in the South, where communities are defined by what wood they burn, what sauce they make, and what they serve with barbecue. Jim Auchmutey links barbecue to the success of certain Southern politicians; Marcie Cohen Ferris looks at kosher brisket; and Robb Walsh investigates why black cooks have been omitted from the accepted histories of Texas barbecue, despite their seminal role in its development. Beyond the barbecue pit, John Martin Taylor sings the virtues of boiled peanuts, Calvin Trillin savors Cajun boudin, and Eddie Dean revisits his days driving an ice cream truck deep in the Appalachian Mountains. From barbecue to scuppernongs to popsicles, the forty-three newspaper columns, magazine pieces, poems, and essays collected here confirm that a bounty of good writing exists when it comes to good eating, Southern style.